Brazilian storyteller Paulo Coehlo introduces Santiago, an Andalucian shepherd boy who one night dreams of a distant treasure in the Egyptian pyramids. And so he's off: leaving Spain to literally follow his dream. Along the way he meets many spiritual messengers, who come in unassuming forms such as a camel driver and a well-read Englishman. In one of the Englishman's books, Santiago first learns about the alchemists--men who believed that if a metal were heated for many years, it would free itself of all its individual properties, and what was left would be the "Soul of the World." Of course he does eventually meet an alchemist, and the ensuing student-teacher relationship clarifies much of the boy's misguided agenda, while also emboldening him to stay true to his dreams. "My heart is afraid that it will have to suffer," the boy confides to the alchemist one night as they look up at a moonless night. 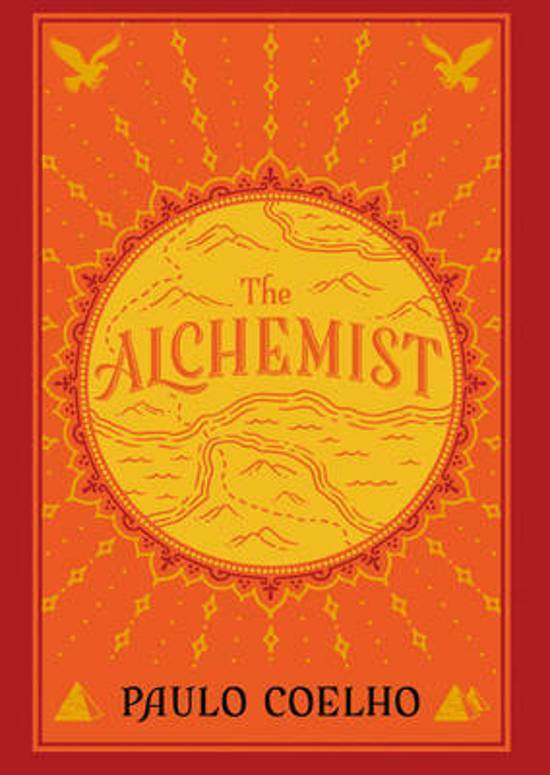 "Tell your heart that the fear of suffering is worse than the suffering itself," the alchemist replies. "And that no heart has ever suffered when it goes in search of its dreams, because every second of the search is a second's encounter with God and with eternity."